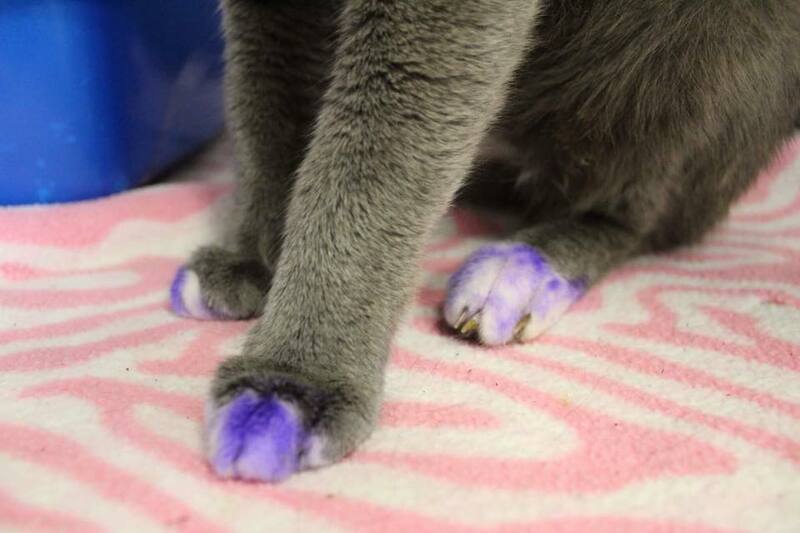 A cat found with purple painted paws wasn’t, unfortunately, painted that way to make some kind of fashion statement. Nor had he walked through a freshly painted area and gotten it on his fur. 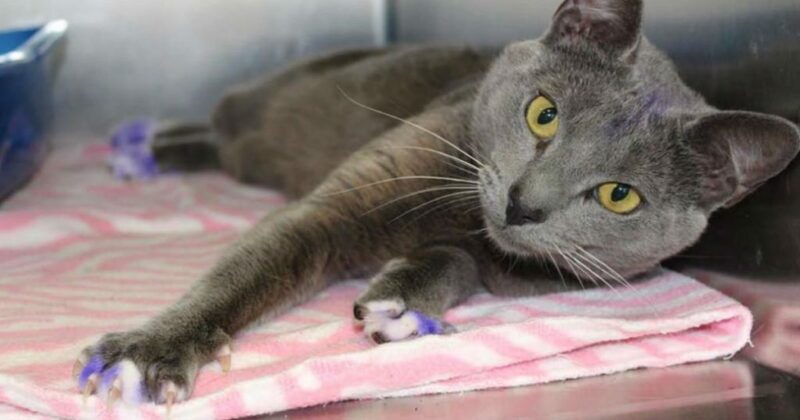 Megan Sorbara, founder of Naples Cat Alliance, said that cats with these markings actually have been through quite a heartbreaking situation and the colored paws are a clue to their past. 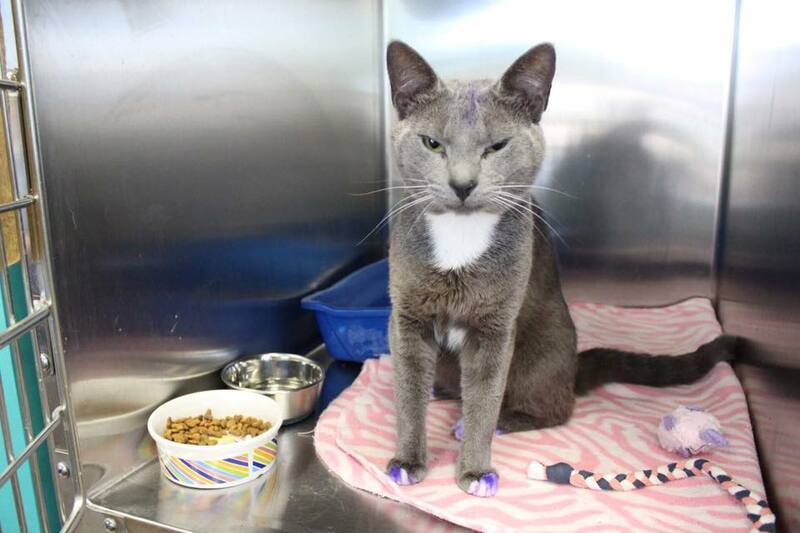 Cats with painted paws are likely to have been used as bait in a dogfighting ring, with their paws “color-coded” so that people could place bets on the color of cat that would be killed first. 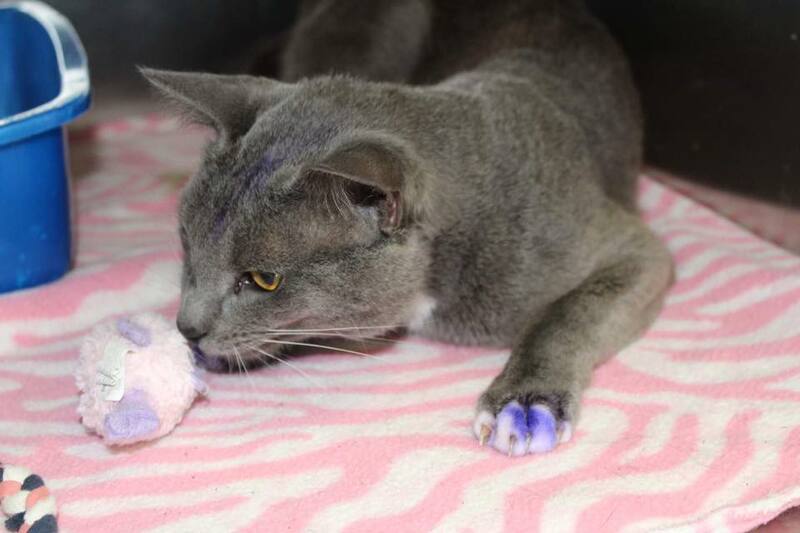 This cat, who was rescued by Clewiston Animal Control and became known as Mr. Purple Paws, escaped a dogfighting scenario. The Naples Cat Alliance was sent photos of the cat and Sorbara agreed to take him in. He was given a bath and while the color faded from his paws, it didn’t completely wash off. He was put up for adoption and a week after his arrival, found a forever home.